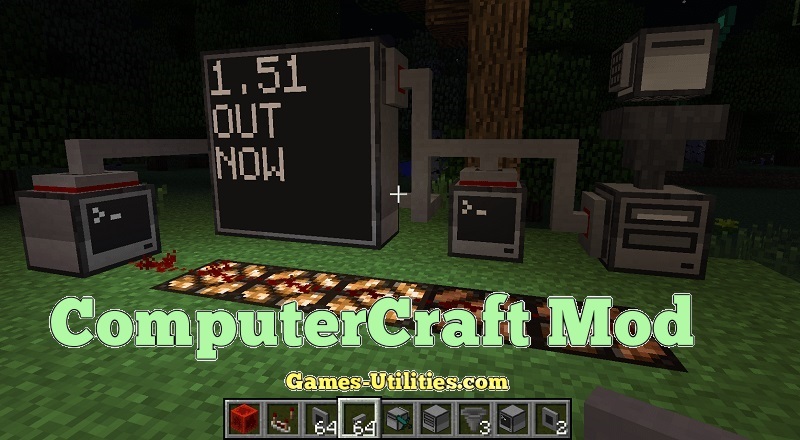 ComputerCraft is a modification for Minecraft that brings usable Computers inside your world. Yes, it brings programmable computers and wired networking inside your Minecraft world. The fun part is, you can use the computers through Lua programming language to control the Redstone system along with RedPower2 wires. The Computers can play music, store data using Text editor and they have 2 built-in games. This is by far the most genius mod for Minecraft. Download and install the Minecraft Forge according to your Minecraft version. Download ComputerCraft Mod zip from the link(s) above. Open Mods folder and put the mod zip file there. (refer to step #3). Launch Minecraft to verify mod installation. You can check ComputerCraft Recipes and tips here. Enjoy playing Minecraft with ComputerCraft Mod with Minecraft . If you have any problem getting this mod or if you have any query related to this mod. Please let us know via comment section. We will definitely look forward to it. Have fun playing Minecraft and keep coming here..